With over 20 years of experience in the sport fishing industry publishing 3 regional, weekly editions of The Fisherman Magazine, Michael draws from an enormous base of knowledge, contacts and is experienced in virtually all types fishing in the Northeast and Mid Atlantic regions. 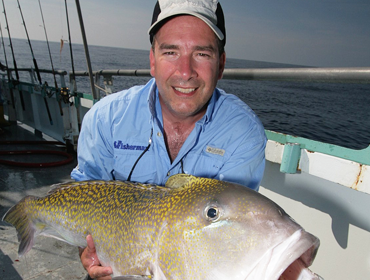 Though The Fisherman is based on Long Island in New York, select staff members and a large network of the magazine’s contributors are spread throughout the region providing Michael with unique insights into fishing conditions, marine conservation and fishery management issues. As a member of the Gray’s Fishing Research Advisory Board Michael contributions include the ability provide consultation regarding sport fishing in the Northeast and Mid Atlantic regions and to provide effective communications to the sport fishing community in this important region.